++ International research team finds 300 animal species in only one week, including a new fish and stonefly species ++ Sediment transport could grind electricity generation of the projected hydropower plant Poçem to a halt within 25 years ++ Earlier this year in April, 25 scientists from 4 countries researched the river section of the Vjosa in the area of the projected hydropower plant Poçem. Petition: Save the Mura – Stop the dams! One of the ecologically most important habitats in Europe is facing destruction. Slovenia plans to build a chain of eight (!) hydropower dams in the future five-country Biosphere Reserve "Mura-Drava-Danube", the so-called "Amazon of Europe". 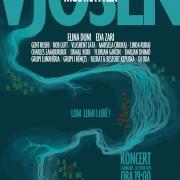 The decision on the construction of the first dam along the Slovenian Mura at Hrastje-Mota is imminent. Please sign this petition! 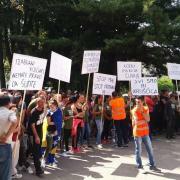 The brave citizens of Kruščica in Bosnia and Herzegovina are determined to defend their river against HPP developments, literally, as they tried to prevent developers moving their equipment to the projected site. On August 24, riot police violently removed peaceful anti-hydropower protesters who were standing up for their right to drinking water and healthy environment, causing serious injury to several people. Bankwatch: Where has all the water gone? 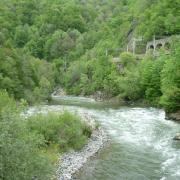 The Vjosa is by far not the only river in Albania threatened by hydropower. 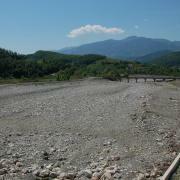 At the Qarishte river in central Albania, residents are faced with the dire consequences of the Rapuni dam. Read this webstory by CEE Bankwatch Network. 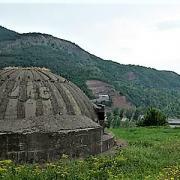 The Defileul Jiului National Park (Romania) is at risk and requires your help. This petition aims to end the destruction of what should be – according to legal requirement – the most protected water bodies in the river network of Romania due to illegal hydropower development. 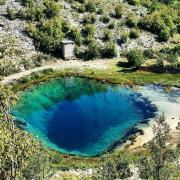 Read more about the spectacular Defileul Jiului National Park and its ongoing devastation and SIGN THE PETITION! In April, about 30 scientists paparticipated in one week of research on the previously almost unexplored Vjosa river in Albania. All experts were amazed by the complexity and sheer size of the river system and every expertise found something at the Vjosa – species, habitat types, dynamic river processes – that has been long lost on all regulated rivers in central Europe. Watch this 3-minute video about the Scientists for Vjosa week, featuring stunning drone footage of the extensive Vjosa river landscape.